If you’re the couple who would rather race down the slopes in a picturesque snow-scape rather than sip cocktails on the beach, then a ski honeymoon may be the perfect getaway for you. 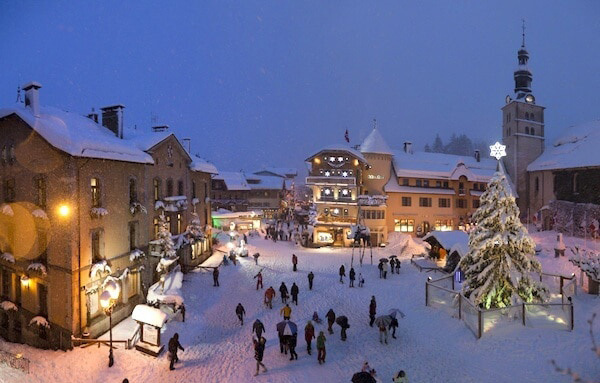 Ski holidays are by far one of the most romantic trips you can take with your other half. After a long day running the slopes, you can warm up in a cosy après-ski lodge overlooking stunning views. With a delicious cup of hot cocoa, cocooned in blankets by a roaring fire, romance is sure to ensue. From the West Coast to the East Coast, we’ve selected our favourite hotspots for your dream ski honeymoon getaway. This little-known ski destination in France holds one of the longest snow seasons in the Pyrenees. At almost half the price of other major ski destinations in the region, this is ideal for couples on a budget.  The slopes are relatively clear and treeless, making it a great place for beginners or intermediate skiers. 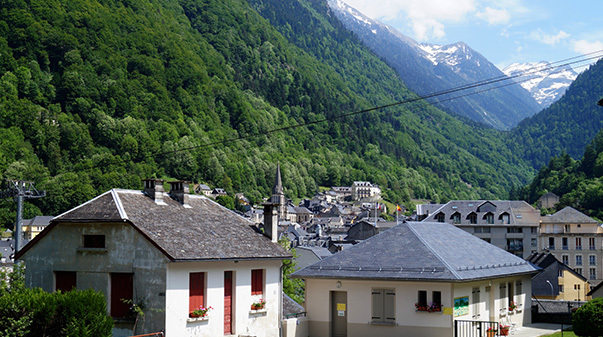 Cauterets is also a charming spa town so to round off your trip we suggest spending a few days hitting the slopes and end your trip with a relaxing spa treatment. In the center of town, the Thermes Cesar offers a range of treatments to suit most budgets! For the idyllic honeymoon destination with slopes perfect for the avid ski couple, this stunning mountain village is for you. 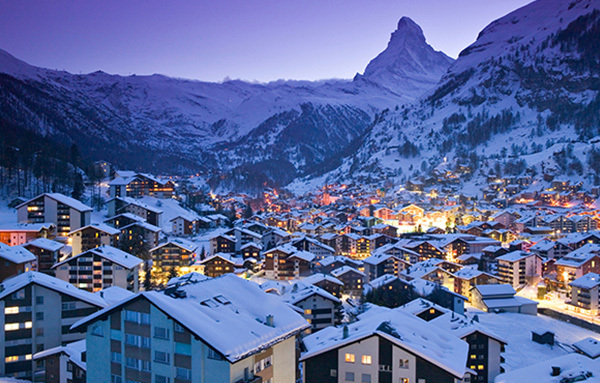 Zermatt is the ultimate escape with a no car policy in order to promote a peaceful, green and clean environment. This beautiful village features cobblestone streets and Swiss chalets, a perfect setting for a romantic walk with your new beau. The town is completely surrounded by a number of well-known mountains as well as the Matterhorn, one of the highest peaks, sitting at the top of the valley. Emerging as the top ski destination for the rich and famous in the 1920’s, this location retains all of its affluent old-fashioned charm. Home to seven five-star hotels, some of the best mountain top spas and a number of Michelin star restaurants, Megève is dripping in glamour and sophistication. A perfect choice for those who want to go all out for their honeymoon, this stunning destination is filled to the brim with glittering boutiques, ancient Swiss architecture and restored timber chalets. The slopes are suitable for all skier levels and there are plenty of zones to explore throughout your stay, so you can be sure that you will never run out of a new slope to adventure down. 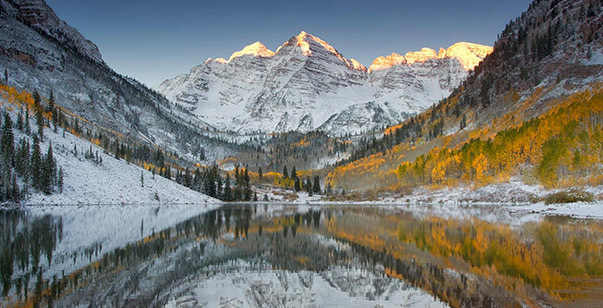 One of the most famous ski destinations in the world, many celebrities flock to the Aspen Mountain in Colorado. With four ski mountains covering 5,300 acres of mountain, the area is packed with a variety of terrains. Whether you venture on the black-diamond slopes for the thrill-seeking couple or take it easy on the less intense runs for the beginners, there’s something for everyone. A major perk of Aspen is that you can get a free professional tour that will help you navigate your way through the area, especially helpful to first-timers. Aside from skiing, Aspen offers a number of other winter sport activities including ice-skating, snowboarding, snowshoeing, along with plenty of spa resorts and après ski spots to kick back and relax after an exciting and fun-filled day. Inside Canada’s Banff National Park in the province of Alberta, is a breathtaking view of Lake Louise Village. The untouched landscape and huge mountain ranges perfectly sum up the vast beauty of the Canadian wilderness. With over 4,200 acres of range for skiing, this is also a destination suitable for all ski levels to enjoy. 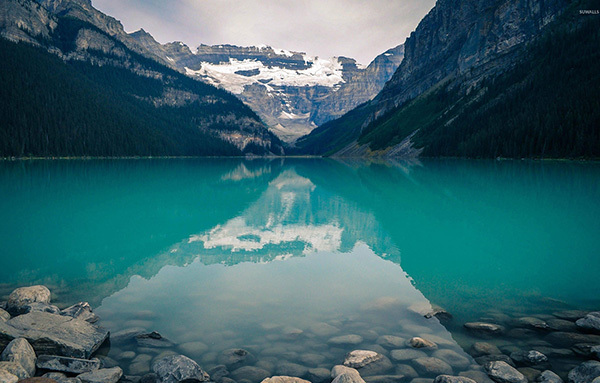 As one of Canada’s oldest national parks, Lake Louise is full of rich history for you and your other half to see. Many resorts offer beautiful views of the Rocky Mountains and luxurious accommodation fit for a romantic getaway. If you’re looking to plan a fabulous winter wedding, get in touch with our team of wedding coordinators who will be happy to discuss your plans! Contact us on 01394 411 288 or email us at info@woodhallmanor.com.